Join us for our First Sunday multigenerational service on June 5 at 10:30 a.m. as we introduce the next monthly theme “simplicity.” Keeping life simple is complicated. As we enter the summer months, a time of relaxation and rest for many, perhaps we can find ways to enjoy simple moments and pleasures we so desperately need in our busy lives. 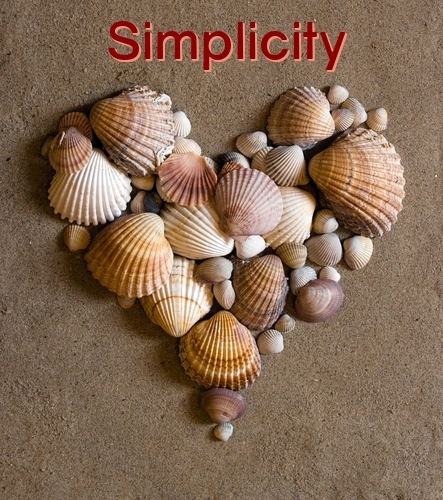 David Horst, Minister, suggests some simplicity practices in his sermon “The Complexity of Simplicity.” Rev. Horst and Robin Slaw, Director of Lifespan Faith Development, lead the service. At the beginning of the service with recognize and thank this year’s Sunday School teachers and all the religious education leaders and volunteers. The All Seasons Chamber Players provides the music. The accompanist is Stewart Kautsch. We introduce our Hymn of the Month, “Blue Boat Home,” one of our new favorite hymns. Sunday School has concluded, except for the grade 8/9 Coming of Age class. Childcare for infants and toddlers is provided until 1:30. A luncheon supporting the Center for Food Action’s Weekend Snack Pack Program begins at noon hosted by the grade 1/2 students, parents, and teachers. A $10 donation is requested. Purchase a lunch or just enjoy Coffee Hour. This is the final luncheon of the church year. The Snack Pack packing event is scheduled for Sunday, September 18. Remember to bring nonperishable food items for the monthly collection for the Center for Food Action.